The United Kingdom’s three largest mobile operators filed an application with the European Commission for approval of a new cashless mobile wallet venture last week, joining a Dutch proposal under consideration by the EU executive against a background of growing international competition. The EU executive’s decision on the proposed UK joint venture – code-named Project Oscar and owned by Everything Everywhere, Telefónica UK (O2) and Vodafone UK – will be watched carefully by rival companies considering similar ventures. Consortia in Germany, Sweden, Denmark and Hungary are eager to develop platforms for rolling out mobile wallets. The Commission is simultaneously still considering an older proposal by a Dutch consortium, called Travik, for its ‘Sixpack’ mobile wallet proposal, which has sustained delays over regulatory issues. The development of mobile and online payment systems are being closely watched by the Commission, which wants to integrate the European market and launched a public consultation on the issue in January. Travik – which includes KPN and Vodafone Netherlands, as well as banks ABN Amro, ING and Rabobank – was unveiled in late 2010, and hoped to launch this year, but since then determined that it needed regulatory approval from the European Commission. The companies are seeking to develop technical and commercial specifications for mobile wallet platforms at a sensitive time, since the Commission is simultaneously mulling a consultation on digital payments, and competition from overseas is heating up. Google has introduced its own mobile wallet in the United States and is targeting Europe as one of its international markets. Last week a group of twenty American retailers, including Wal-Mart and Target, announced that it is developing its own mobile payments system. The retailers are attempting to nudge into an already crowded market, including Google, which has Citi, MasterCard and Sprint on board for its wallet. Another system in the pipeline is Isis, a consortium led by AT&T, T-Mobile and Verizon, which recently signed up Barclays, Capital One and JPMorgan Chase. Taking a different approach, PayPal has developed a mobile number and PIN-based system. The UK consortium described the joint venture as a company that could offer a “one-stop shop” for mobile advertising, payment, ticketing and other services for the wallets. Mobile payments systems including e-wallets form part of a public consultation on digital payments currently live at the Commission, and which closes in April (see background). The sector is subject to increasing global competition as the market for such payments soars. Projections suggest that the mobile payments market in China will almost double in value this year from 2010. China’s m-payments industry was worth RMB2.9bn (€350 million) then, and is set to increase to RMB5.2bn this year with 212 million people doing mobile transactions. Market penetration of mobile payments in the EU still has considerable unrealised potential, in comparison, for example, to the Asia-Pacific region. According to estimates by the research company Gartner, there were 7.1 million mobile payment users in Western Europe in 2010, compared to 62.8 million users in Asia-Pacific. One of the key reasons for the slower market take-up in Europe is the highly fragmented mobile payment market. The key market actors (mobile network operators, payment service providers, mobile phone manufacturers) have not yet agreed on a viable business model enabling inter-operable payment solutions. As a consequence, the largest and most promising global m-payment initiatives are currently launched outside Europe. Apple, Google and Visa have all announced major drives to enter the m-payment business. The EU’s current consultation on digital payments aims to flesh out a framework on mobile payments, along with other digital payments, in order to boost European developments in the sector. The amount of online shopping in Europe accounted for €141 million in 2009 and is expected to rise to €190 million by 2014, the Commission estimates. National payments network China Unionpay, three major telecom operators and 3rd party players have all made strategic deployments of mobile payments there. In addition the rapid penetration of 3G network and smartphones in the country will lay a solid foundation for m-payments development. Mobile wallet operators want payments to be made by their phones, allowing them access to billing and advertising businesses, by replacing debit and credit cards with applications and an ability to swipe the phone using a technology called near-field communications. “[The UK joint venture proposal] will promote competition by bringing together the necessary scale to offer a credible alternative to the established online payments and advertising platforms offered by large US-based Internet players,” a statement from Project Oscar said. The European Commission launched a public consultation on online and mobile payments in January this year, aiming to speed up the creation of an integrated European market for card, internet and mobile payments and stave off a lack of competition in that business. The consultation closes on 11 April. The public consultation was launched in parallel with a communication on e-commerce, geared to double the volume of online trade by 2015. 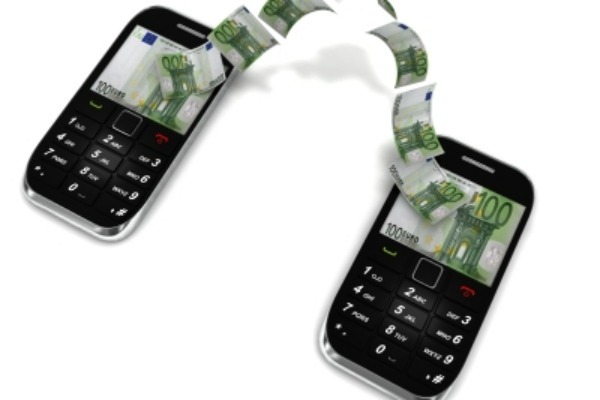 Mobile payments are currently regulated at European level by the Payment Services Directive, adopted in 2007.Under the directive, payments are no longer reliant on an account held in a specific bank and can be made through a new series of different channels, like utility companies or mobile phone operators. The PSD was accompanied by an overhaul of the eMoney directive, which enabled cash to be stored on payment cards, mobile phones or on an internet account. 11 April 2012: EU consultation on digital payments closes. Last quarter 2012/First quarter 2013: Commission to put forward legislative proposal accompanied by impact assessment report. great information. thanks for sharing this information.